When bad things happen, they often blindside you. That was what Meredith Grey said the episode before last as she complained that she'd not heard from her husband Derek Shephard after he left to go wrap things up in DC and move back to Seattle for good. Since his jaunt to the capital, I've been scared that McDreamy was on his way out, but I still cried last night as we said a final goodbye. "After 11 seasons on "Grey's Anatomy," Patrick Dempsey is moving on to pursue other interests. Dr. Derek Shepherd is an iconic character and we've been proud to be the home of "McDreamy" and the "Mer/Der" love story. The devotion of Grey's fans throughout the years has been a testament to the creative mind of Shonda Rhimes and Dempsey's talent. 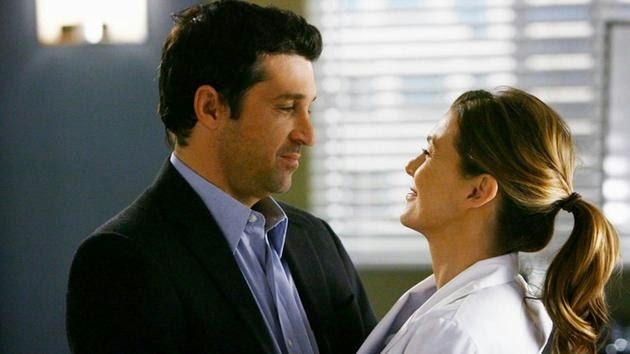 "McDreamy" will be greatly missed and we wish Patrick the very best in his future endeavors." "Derek Shepherd is and will always be an incredibly important character -- for Meredith, for me and for the fans. I absolutely never imagined saying goodbye to our "Mcdreamy". Patrick Dempsey's performance shaped Derek in a way that I know we both hope became a meaningful example -- happy, sad, romantic, painful and always true -- of what young women should demand from modern love. His loss will be felt by all. Now, Meredith and the entire Grey's Anatomy family are about to enter uncharted territory as we head into this new chapter of her life. The possibilities for what may come are endless. As Ellis Grey would say: the carousel never stops turning." The Grey's Anatomy account says Mer will be fine. But how can she? How can we? When they've just killed love.